New Delhi : India is all set to face Australia in the T20I series, considered to be the final rehearsal before the World Cup, and they will be looking forward to kickstart the series with a woman on Sunday in Visakhapatnam. Virat Kohli will be leading the Men in Blue for first T20 Internationals against Australia. 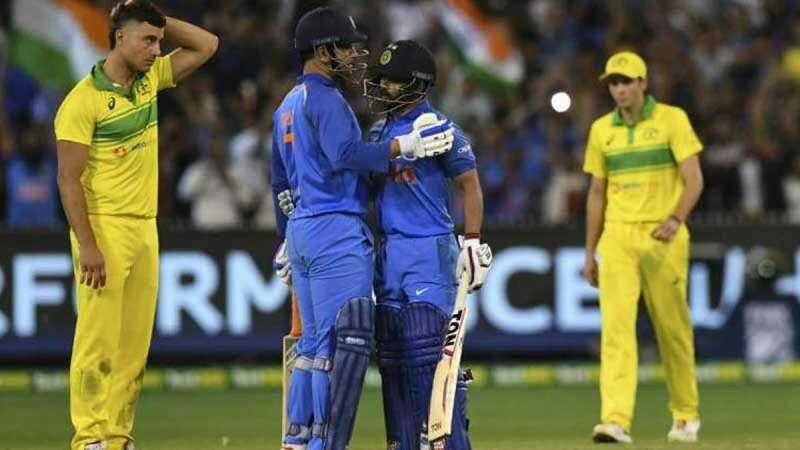 India will be playing two T20s and five ODIs against Australia ahead of the ICC World Cup 2019 in England, starting from May 30. Last month, India won a historic Test and ODI series. The tourists led by Aaron Finch may not have played T20Is since their last series against India three months back, but they are fresh from the Big Bash League (BBL) with six players, including the skipper, featuring in the all-Melbourne final on February 17. Australia: Aaron Finch (captain), D’Arcy Short, Pat Cummins, Alex Carey, Jason Behrendorff, Nathan Coulter-Nile, Peter Handscomb, Usman Khawaja, Nathan Lyon, Glenn Maxwell, Jhye Richardson, Kane Richardson, Marcus Stoinis, Ashton Turner, Adam Zampa.